DANK memes are a form of Internet-speak. New and viral memes are sweeping across the ‘net all the time – and there is no better platform to share them than on Instagram. Yes, 9gag exists, but in true candour, its jokes are always a hit or a miss. Hardly anything on the Internet is as sensational as fashion, though, especially when it’s heavily driven by social media. When you mix fashion and pop culture, you get plenty of material ripe for the meme-ing. Heck, these pop culture meme pages can be even more popular than your favourite influencers. Beyond Diet Prada, we have a list of Instagram accounts with dank memes you’ll wish you were following earlier. While we wait for the latest fashion drops to come our way, satiate your appetite with ample doses of humour. Look no further than Saint Hoax’s feed for your daily dose of pop culture. The pseudonymous Syrian artist makes a name for himself with his “POPlitical” art — he merges pop culture with political satire. Most recently, his third solo exhibition, MonuMental, showcased an inflatable parade float of Donald Trump’s head melding with an armoured tank. On social media, the artist cleverly picks buzzworthy moments and combines them with former contenders in the meme hall-of-fame. Miranda Priestly’s interview with Andy Sachs from The Devil Wears Prada makes frequent appearances on the feed – and is are always edited such that the antagonist is dissing someone else instead. Of course, Gryffindior is a play on House Gryffindor and Dior, one of the most storied French luxury fashion houses of all time. This feed reimagines all the characters in the Harry Potter universe dressed up head-to-toe in Dior outfits, be it by current designers Maria Grazia Chiuri and Kim Jones or Dior alumni Raf Simons and Hedi Slimane. If it’s the fantasy of fashion, why not look at it through the lens of the Hogwarts Fantasy? To say that fashionistas are obsessing with oversized clothes would be a gross understatement. For all the people out there who love a good “drowning in a puffer coat” moment, a 17-year-old from Hawaii is here to quench that thirst. May’s memes follow the same pattern: Celebrities spotted out on the street by paparazzi have their chic winterwear blown out of proportion. It’s neither obnoxious nor grotesque, you just ask yourself whether Moncler did release an oversized jacket that was, in fact, limited edition. It’s no secret that garments blessed with celebrity endorsement do well for the marketing numbers. Reilly, a graphic artist and illustrator, decided to imagine a world where these brands and the personalities wearing them coalesced. With that, Balenciabama and Buhrhberry were born. But this meme-maker makes more than just dank memes for his loyal following. Reilly was tapped by Silvia Venturini Fendi (yes, the one and only) to collaborate on some graphics for Fendi FW18 menswear. The Instagram handle is a portmanteau of its account creator, Sidney, and a fashion Situation. 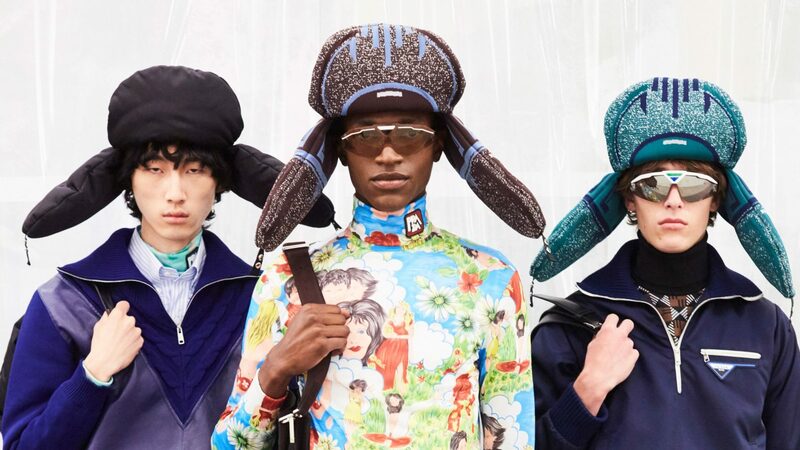 Sidney Prawatyotin is a fashion PR veteran, with an Instagram account solely for bringing high-fashion looks into real-life contexts, creating an out-of-place hilarity using Photoshop. It’s uncanny how he makes car seat bead massagers echo looks from Eckhaus Latta’s FW19 collection. You could even question which came first. In an interview with Heroine, Sidney revealed that he didn’t intend for his account to gain comedic traction, but nowadays he doesn’t mind if people group him together with the rest of the Internet’s meme makers. But really, if something viral on the Internet is funny, it’s already a meme.